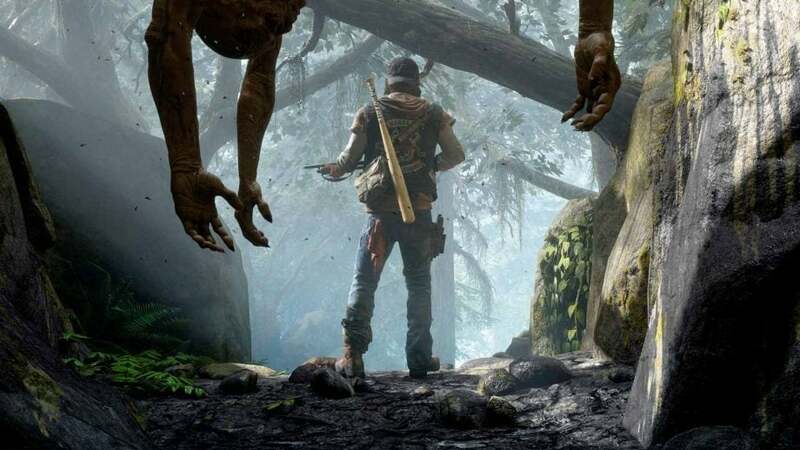 Sony Interactive Entertainment (via IGN) has released nearly six minutes of raw, new gameplay footage of its upcoming PlayStation 4 exclusive: Days Gone. The footage -- which features a non-spoilery mission later in the game -- is one of the best looks at the combat and horde gameplay of open-world action-adventure title yet. And it also left me with vibes of The Last of Us meets World War Z meets Sons of Anarchy, which sounds kind of like a weird mixture, but it left me excited to see more. What has me less excited however, is the game's gunplay, which doesn't look bad per say, just uninspired and one note. Further, where the rest of the games gives off an emission of realism, the guns almost have more of an arcadey look to them. There's just something not right about them. The sound design around them is pretty bad, and the recoil and bursts just look odd. The rest looks pretty great though. In the video, Eric Jensen, the lead open world designer of the game, reveals that in the footage that there's over 300 "freakers" on the screen, and apparently that's pretty small by horde sizes, suggesting that hordes of freakers can get massive. Jensen also notes that you can't outrun hordes, which makes them even more terrifying. The video also demonstrates some of the impressive tech behind freakers, who won't stop even if you get high ground or somewhere other games may deem safe. They'll maneuver around and in obstacles, climb over stuff, and basically do anything in their pursuit of the player. After a series of delays and a considerable time in development, Days Gone is poised to release on April 23, exclusively via the PlayStation 4. It will cost $59.99 USD. For more news, media, and information on the highly-anticipated title, be sure to take a gander at all of our previous coverage of the brutal-looking game by clicking right here. And of course, feel free to leave a comment letting us know what you think of the new footage, or hit me up on Twitter @Tyler_Fischer and let me know there.